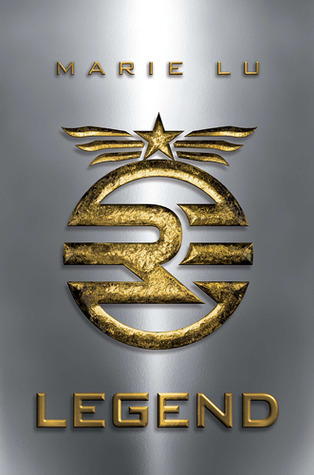 In terms of providing solid writing and powerful characters, “Legend” definitely delivers. Day and June, the two protagonists whose eyes we borrow throughout the book, are very well drawn, and you can easily relate to them. The plot moved at a fast pace, the stakes kept getting bigger and bigger, and by the end, you could not tear me away from the Kindle. I especially liked June, because of how she handles everything. Throughout the book, she systematically has all her supports taken out - her brother, their childhood friend, the boy she might come to care for, and many more - and yet she approaches all these challenges with a quiet determination to get through to the end. It’s admirable that she manages to retain her focus, even when she hurt. I also liked Lu’s take on the “Nice Guy” problem - you know, when a guy would rather try to earn a relationship by being a friend first, but would not ever put his own feelings at stake. I like how she handled that - very nicely done. June faces the double whammy of being female and a very popular figure in the Republic, so some very problematic expectations were leveled at her, but she manages those too. However, I really think that “Legend” works better as a sci-fi, or maybe even as an alternate-universe piece than it does as a dystopia. I just don’t think it manages to explore dystopian trends well - the world is sketchily drawn, with the same standard “evil government” elements thrown in. There’s not really an explanation why the Republic came to be, or what is the bigger conflict besides those two people. Then again, this is a criticism that can be leveled at most, if not all, YA dystopias nowadays. Moreover, the book is told from the viewpoints of June and Day, which means that we only know as much as they do. Some worldbuilding fails, like the Trials and the genesis of the Republic, can be attributed to them being unreliable narrators. Ultimately, “Legend” isn’t really a book about the individual standing up against a repressive society, as much as it is a character study about grief, family and conformism. As such, it wins on every level. *Image and synopsis courtesy of Goodreads.